Set across a series of hills that rise and fall away from the banks of the Tagus river, Lisbon offers some of the most attractive and dramatic landscapes which are best enjoyed from its highest points. The delightful natural setting of Portugal’s capital city has resulted in a series of terraces, known as ‘miradouros’ (viewpoints), which provide the perfect spot from which to admire the scenery below. 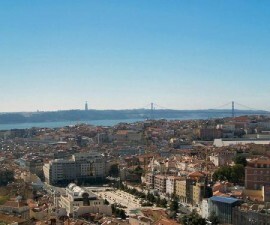 It is hard to choose the best Lisbon viewpoints as there are so many to consider. 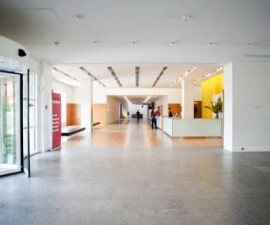 Some are large and expansive, with cafes and seating, others are small and understated, designed for nothing more than admiring the delicious sights beneath. However there is no doubt that there are several that would feature on any list of ‘best Lisbon viewpoints’ no matter who should draw it up. 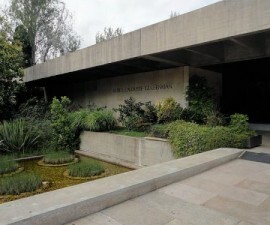 Amongst these must feature the Miradouro Portas do Sol, the Miradouro Sao Pedro de Alcantara, the Miradouro Graca, the Miradouro Santa Luzia and the Miradouro Santa Catarina. 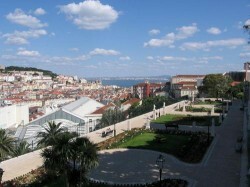 The Miradouro Portas do Sol presides above medieval Lisbon. Here you will find a balcony, which opens onto the river Tagus and offers wonderful views over the Alfama on the opposite banks beyond. This is a great place for pictures to remind you of your trip to Portugal, with the soft-hued buildings set off to perfection by the blue skies and waters below. 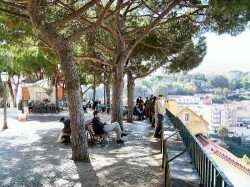 The Miradouro Portas do Sol is located just a few steps away from the Miradouro de Santa Luzia. Giving over in the same direction as its near neighbour, the Miradouro de Santa Luzia is the perfect spot for admiring the Alfama rooftops along with the dome of the National Pantheon, against a foreground of beautiful vine-clad trellises. The Miradouro de Sao Pedro de Alcantara is more than a simple terrace, it is a manicured garden that offers wonderful panoramic views across to the centre of Lisbon and the famous St George’s Castle. It features a map made entirely of azulejos (tile work that is unique to Portugal). A lower terrace forms a geometric garden with busts of heroes and gods from Greek and Roman mythology, including Minerva and Ulysses. The Miradouro de Sao Pedro de Alcantara is one of the most attractive Miradouros in its own right and makes a compelling place in which to while away the time both by day and by night, when the city is lit up by the twinkling lights below. Head to the Miradouro da Graca for a relaxing drink in the late afternoon against the backdrop of the impressive castle beyond. 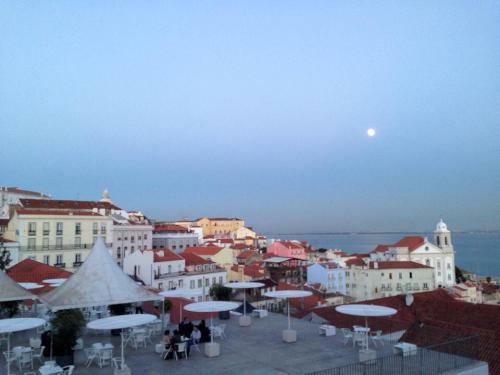 The Miradouro da Graca is the perfect spot from which to watch the sun set over Lisbon’s distinctive skyline. The Miradouro Santa Catarina is located behind Camoes Square and offers stunning views of the port and 25 de Abril Bridge. 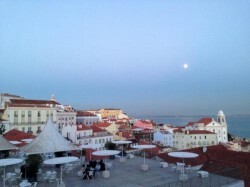 Given its proximity to the popular Bairro Alto area, it is no surprise that the Miradouro Santa Catarina is popular with Lisbon’s young and bohemian crowd who congregate at the tables of the terrace café.